Why should couples have all the fun? This Valentine’s Day, gather your single friends for a fun and casual night out at Crush Lounge. 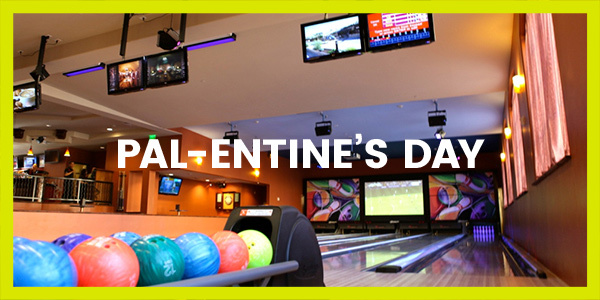 This special evening includes a one-hour bowling lane reservation, choice of two “small bites” on our Crush Lounge menu and a half bottle of bubbly for $55 a person. Walk-ins welcome.